Not the full team, but… close enough! I know that I’ve brought it up (many times) in the past, but I absolutely love the fact that when Ms. Takeuchi settles on a theme, she tends to stick with it. 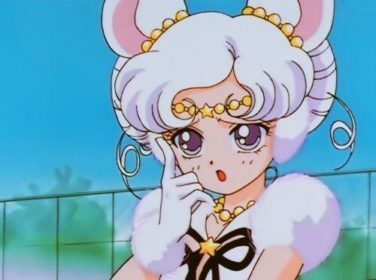 And stick with it she did in terms of having a unifying naming pattern — gems, minerals, elements, and metals — for nearly all of the primary villains in the Sailor Moon series. Today we’re going to take a look at some of Sailor Galaxia’s minions, the Sailor Animamates, and see where their names came from. Though some of these are probably obvious on the surface, there are actually a few surprises worth sticking around for! Grab some shovels and hardhats, kids. We’re digging deep! For those of you out there wondering why I didn’t just dedicate this article to the Shadow Galaxtica, it’s because not every character we see serving under Galaxia is actually an Animamate. The most obvious examples of this are the Sailor Gardeners, Sailors Chi and Phi, and the Sailor sisters of the River Styx, Lethe and Mnemosyne. But if you want to get really pedantic,1 technically Sailor Uranus and Sailor Neptune were also members of the Shadow Galactica in the anime, and nearly all of the Sailor Soldiers wound up being brought over to the evil organization in the manga. Which is a very roundabout way of saying that “the Sailor Animamates are just a subset of the Shadow Galactica.” Think on the same level as the Witches 5 being a subset of the Death Busters. So with that out of the way, let’s take a look at what these characters’ names all mean! The first one is nice and simple, especially when you consider that the names of all of the Sailor Animamates follow the same pattern of [mineral] [animal]. … but I don’t think it’s the right answer. The Amazon Trio were animals in the manga with nary a mention of it, and it doesn’t seem like the type of name Ms. Takeuchi would use. It seems more like the type of name puns you could expect from the anime monsters of the day. That leaves us the other answer, that they are literally supposed to be anima mates, or life-spirit mates. You could even take this further and tie it into the theory of anima and animus,3 put forth by the father of analytical psychology, Carl Jung.4 But I think that’s going a bit far. 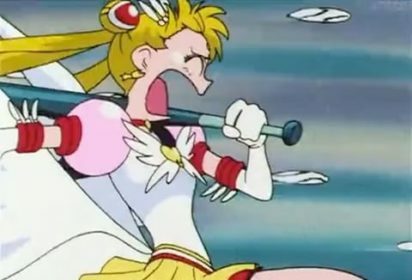 Personally, I’d be inclined to go with the Latin anima angle, especially when you consider that in the manga all of the Sailor Animamates had lost their bodies and were only able to continue on living by taking on the Sailor Crystal of the true Sailor Soldier of their respective planets after being granted power by Sailor Galaxia. I admittedly have very little to go on here, though. It could be neither. It could be both. But it’s interesting all the same. But enough of that — on to the names! Probably not much of a surprise here, but the iron here in her name comes from the metal of the same name. Pumping iron, iron mask, iron clothes. You know, iron. Oh, and she’s mouse-inspired. In the anime, she works under the alias of Chuuko Nezu (根津宙子), with chuu coming from the noise mice make (Pikachu, anyone? ), ko being a common suffix to female names, and nezu being in reference to nezumi (ネズミ),5 the Japanese word for mouse. Lead, kinda like the metal that you’re hoping wasn’t used in the paint that covers your house. Crow, like the bird. I promise this will get more interesting soon, please hang in there. 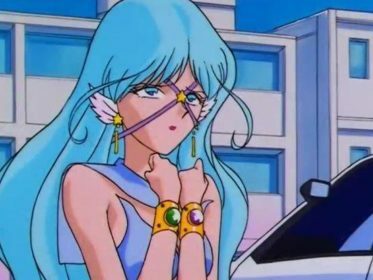 I always found her name to be a bit odd because, while the rest of the Sailor Animamates were named after normal animals, Sailor Aluminum Seiren here is named after the creature of Greek mythology, the siren.8 Often depicted with bird bodies and female heads, it works well enough… but I still think it deviates from the theme. In the anime, she also works under the name Reiko Aya (彩れい子), which… well, no matter what way I look at it, I just can’t find any sort of connect or word play. I’m sure there must be some kind of pun here, but it’s lost on me. While the Tin part of her name is once again obvious, referring to the metal of the same name, Nyanko is a combination of the Japanese sound a cat makes, nyan, with the ko suffix common in female names. It also comes up not-uncommonly as a word used by little kids to refer to cats (nyanko) or dogs (wanko). Kinda like saying “See the woof-woof over there?” to a two year old. When walking around brazenly as a leather-clad Sailor Soldier of purrfection, she goes by the alias Nyako Suzu (鈴にゃん子), with suzu (鈴) being the Japanese word for bell10 — like the type often found on a cat’s collar — and nyanko being the nyanko we just discussed. Incidentally, the Japanese word for tin can also be read as suzu (錫). 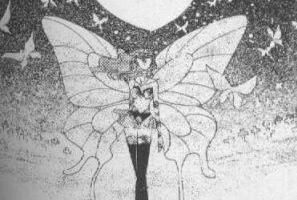 The last of the Sailor Animamates, this manga-only character is named after a category of metals known as “heavy metals” which, depending on your discipline, could mean a metal that has a high density, atomic weight, or atomic number.11 Papillon, on the other hand, is the French word for butterfly,12 which explains her character design. And it looks like this is where we’re going to have to leave off for today. Next time around, we’ll be looking at the rest of the members of the Shadow Galactica and the interesting stories behind their names! 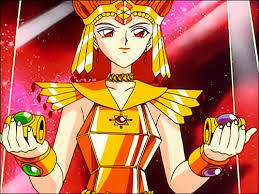 As for the Sailor Animamates group itself, what do you think about the etymology behind the name? I like the simplicity of the “animal” connection, but it doesn’t work for Seiren — not exactly an “animal” — and it seems too simple. On the other hand, the Latin “anima” angle could be reading too much into it. Or maybe not enough, if you want to go with Carl Jung. But who cares what I think — I’d like to hear from you! 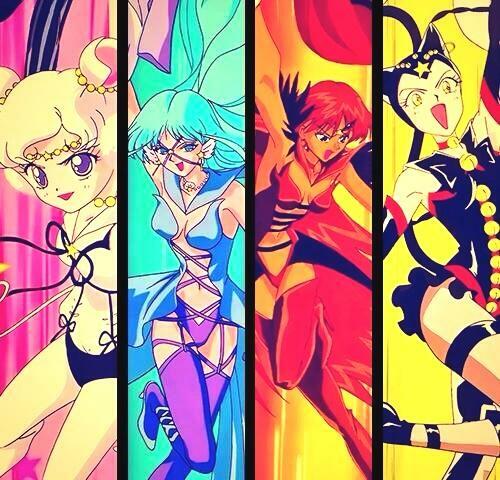 I’ve never liked the Sailor Animamates names. 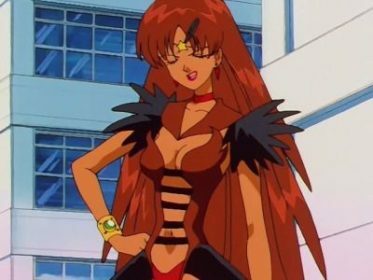 I remember in high school, a friend of mine got to the Stars season of the animé before I’d seen it, and when he started talking to me about Sailor Iron Mouse and Sailor Lead Crow, I thought he was making some kind of joke. Their names just feel so tonally different from all the primary villains that came before them. I’ve also never understood why they aren’t named after planets or some other celestial bodies like the Sailor Senshi are; but I’ve only read through the final manga arc once (and I still haven’t seen Stars all the way through— I was trying to watch through the whole series in full, ended up taking a break after R, and am just now getting into SuperS), so maybe the explanation just went over my head. Hmm…. I always figured anima meant animal…. But you are right about it not fitting with Seiren. What I always wondered was how did Naoko choose which animal name (for lack of a better word here) and metal to put together. Like, why “iron” and “mouse” together. Or why put “lead” and “crow” together?? As for Seiren fitting in, I always just assumed Naoko needed an alternative to”fish” since she already did “Fisheye” but still wanted the blue/water aesthetic for one of the animamates. According to Miss Dream’s translation of her page in the Materials Collection, she comes from the planet Mermaid, and it would seem she’s based on that and not on a Siren. I get the sense that it’s common to mix up the two, and even Wikipedia states that some of the Mermaids’ attributes have been influenced by Sirens. The singing is a good example. (You can thank Disney for making that one super popular.) But you’re still right that it’s not an animal per se. I think it was just an easy idea to go with, since in the end they’re all women anyways ^^;. The Aluminum Siren page on SailorDream.com (http://www.sailordream.com/bssm/information/blueball/AluminumSeiren.php) arrives at more or less the same conclusions but goes a bit more in-depth with kanji. Aside from the “ningyo” reference (which is basically a pun in absentia), what I find interesting is that the name “Reiko Aya” seems to allude way more to the nature of the Animamates than any of the others’ civilian names. Makeup and paint suggest disguise and deception, puppets and dolls are imitations of humans that we manipulate, and the Animamates are like “ghosts” of the senshi they used to be (or killed and replaced, if you’re looking at the manga). It probably wasn’t intentional (the Japanese word is different), but “ghost child” or “spirit child” remind me of changelings, the myth from European folklore where a human baby is kidnapped and replaced with a fairy. As someone who actually knows Japanese (and how), I’d be interested to know your thoughts on whether the two websites above made an accurate analysis of Reiko Aya’s name. Thanks for the opportunity to nerd out about the Animamates and uhhh I’ll just show myself out now. I was confused about Seiren’s name pun, too; the best explanation I could come up with was that the kanji 彩 can be read as “sai”, so the beginning of her full name becomes “sai-rei…”, which kind of sounds like “siren”. Nyanko’s name seems to be a double pun, since “suzu” can also mean “tin” (スズ/錫). Seiren is about/from “Sereia” that means Mermaid in Portuguese. She is blue, a fish maybe. I always thought of that…. 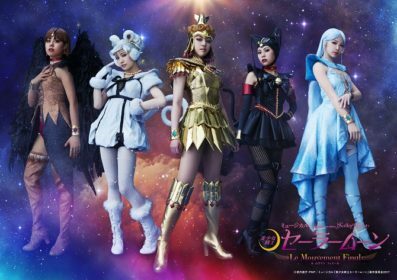 Basically, that the “Aya” could be referencing a puppet or marionette, while the “Rei” is, like Sailor Mars, referencing “spirit” — in Seiren’s case, the idea that she is a puppet of Galaxia’s, and only a spirit or essence of the true Sailor Mermaid. I don’t know how accurate that explanation is, and it certainly isn’t as punny as some of the other Animamate names, but it seems pretty cool! You may want to add that the lead part is also a Japanese pun on red, which is written in the same way. And it fits perfectly with Akane. As for the Seirin part arguing against anima coming from animal, one common theory for the belief in mermaids is simply sightings of seacows, seals or similar sea living animals. I find that more plausible, thus animal+mates=animates than the idea it comes from the Freud theory. While I think that the “red” pun was probably there to some extent, I think the “red/lead” wordplay is overblown in English articles about her character. As you mention, it’s probably part of the reasoning behind the name “Akane” (and MAYBE the design, but I’m not convinced) I don’t think that it was as much of a factor as others seem to insinuate. I was teaching elementary school kids, and even the first graders knew that reddo means akai. It’s so much part of Japanese common knowledge, any claiming otherwise is strange. The reason for that is the leader of the “power rangers” has always been Reddo something. On the contrary, I don’t think many Japanese except for some real fans really understood the lead part. Why on earth would you make a usually black crow red, especially since the other animates have design fitting their names. A mouse is grey in Japan, iron is mousegrey. Sirens are water creatures, and her blue is called mizuiro. etc. If the red/lead pun was not intended, I’d expect some black design and a name like kuroki sumiko or such. Most certainly not Akane. Anyway, you may want to add that suzu also means tin, not just small bell. So you have a pun here as well. As for the Aya, I’ve always thought of either ayatsuru (make people do what you want ..= exactly what sirens did to sailors) or aya, an old word that meant a supernatural force beyond the understanding of humans. That’s the origin for ayashii or the above ayatsuru. Talking of sirens, it’s quite accepted now that the origin of sirens or mermaids were highly likely just sightings of sea cows, seals or other sea creatures. 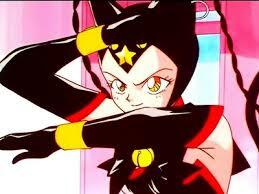 So siren isn’t that off the animal pattern. And thinking of the way I have got to know Japanese during the last 17 years, I find it extremely hard to believe anima comes from Freud’s anima. Psychology is so much common knowledge, you must be quite a freak to know about it without having studied it at university. If that had been Naoko’s major, I’d believe it any time. But so, no way! Animal fits Japanese common knowledge, the Japanese pronunciation of animal and the theme of animates, being metals and animals. I believe you may have misunderstood my comment about red. I certainly realize that Japanese people are familiar with the English pronunciation of レッド. I, however, don’t believe it’s as significant of a part of Lead Crow’s character as many sources seem to insinuate. Alas, we’ll just have to agree to disagree on this point. However, I have added in a mention regarding the lead/red wordplay under the Lead Crow section, and have added in the note on suzu/tin (which was also noted in another comment) to Tin Nyanko. Thanks for pointing that out! While I think that the Carl Jung (not Freud) anima and animus connection is probably reaching, considering all of the thorough research she’s done on various other subjects in creating the world of Sailor Moon (including the various Greek and Latin terms that appeared from the Infinity arc and beyond), I don’t find it too unbelievable that she would be referring to the Latin word for “soul” (anima). As for the Siren/Mermaid -> sea cow assumption putting Aluminum Siren back into the “animal” category, that seems like a stretch to me. First and foremost, her design is most clearly not inspired by that of a seal. Second off, the world of Sailor Moon is one that weaves together magic and mythology, so I don’t know if it makes sense to try to tie together real world misinterpretations that led to the people creating stories of mermaids here into this. Not THAT much of a stretch, considering the taxonomical order to which sea cows belong is appropiately named Sirenia, and dugongs have forked tails which are REALLY similar to traditional depictions of mermaids. In addition, the fact that seacows were originally mistaken for mermaids ties nicely into the motif of the Animamates not being the real deal.